For the first time in four years we took a spring break trip! Yes, prices are usually higher at this time, which is why we try to avoid SB getaways as much as possible. But this was a big year for us: #34 for me, 1st year in our new house (an very few house projects on our list completed), 10 year wedding anniversary, and 7 years of daycaring. Those deserved some serious celebrating...all the way down to Florida. My wonderful husband made the decision early on that we would drive the entire trip. I was a tad sour about the driving part, but I'm REALLY glad we made it a road trip. 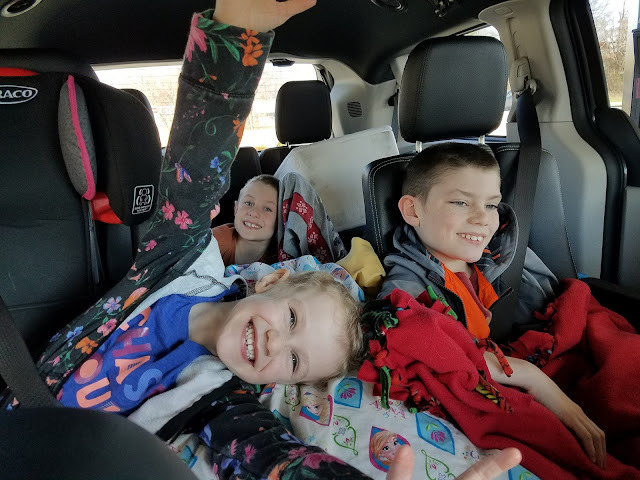 The three minis did awesome in the car (have I mentioned yet that I forgot our portable DVD player was broken, so they had nothing to watch the entire trip!!??!) and happily took in the sights and sounds of everywhere we went. We had soooo many new experiences and made sooooo many memories that we'll never forget. It really was a whirlwind, road trip of a lifetime! Day 3: Spend more time than we anticipated in downtown Atlanta. Successfully conquer Atlanta traffic paired with spring break traffic, drive to Orlando, check into our hotel only 3 hours past our scheduled arrival time. Go back up to the front desk when our keys don't work. Fall into bed exhausted. Day 4: Wake up bright and early for our 14 HOUR day at Disney World. Day 5: Wake up late, realize I forgot to pack my bathing suit, make a quick run to Target, spend nearly three hours running through the waves and gathering seashells at Cocoa Beach, drive to Miami. Promptly order a 24 inch cheese pizza from a local restaurant (via GrubHub) upon our arrival. Day 6: Explore Miami: Vizcaya Museum and Gardens, Little Havana, Wynnwood Walls, and Bayside Mall (after discovering Bayfront Park was closed because they were setting up for an alternative music festival). Day 7: Two National Parks in one day: Everglades and Biscayne. Day 8: Drive from Miami to Key West. Stop and feed the tarpon at Robbie's, swim in the ocean and go snorkeling at Fort Zachary Taylor, visit the Southernmost Point along with every other tourist on the islands, visit Hemingway's house, walk up and down Duval Street. Eat, drink, and listen to a band at Margaritaville, grab keylime pie to eat in the car when we realize how late it is. Drive back to Key Largo and check into our lodge. Day 9: Parasailing, Sunset Grille, and John Pennekamp State Park in Key Largo. Day 10: Pack up and start our drive towards home. Have a good hike in the middle of Florida at Highlands Hammock State Park. Deal with three crying minis who aren't ready to leave Florida. Spend the night in Macon, GA.
Day 11: Drive from Georgia to Carbondale, IL. As we drive through GA, we wonder about all of these blossoming trees, only to realize Macon, GA is in the middle of their annual International Cherry Blossom Festival. Day 12: Spend time with family and arrive home later than planned (notice the theme there??). Try to unpack but give up and fall into bed (also later than planned). 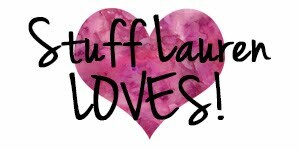 Day 13: Stay home, unpack, sleep, and do laundry. Look over all 3,000 pictures we took and wish we were still on a Florida beach because it's only 38 degrees outside and freezing. 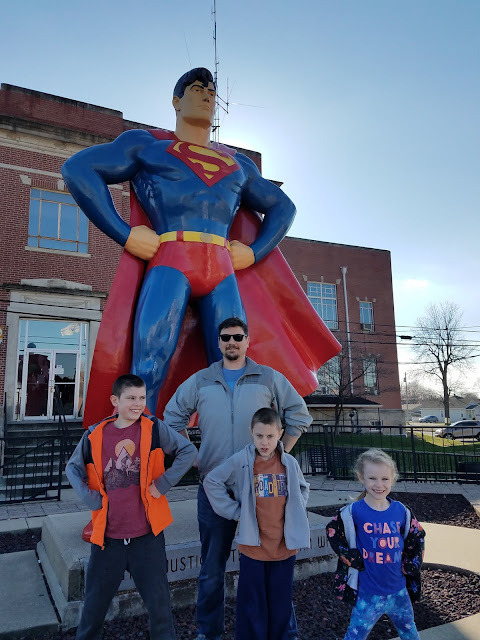 Since we drove, we stopped various places and made the most of our road trip. 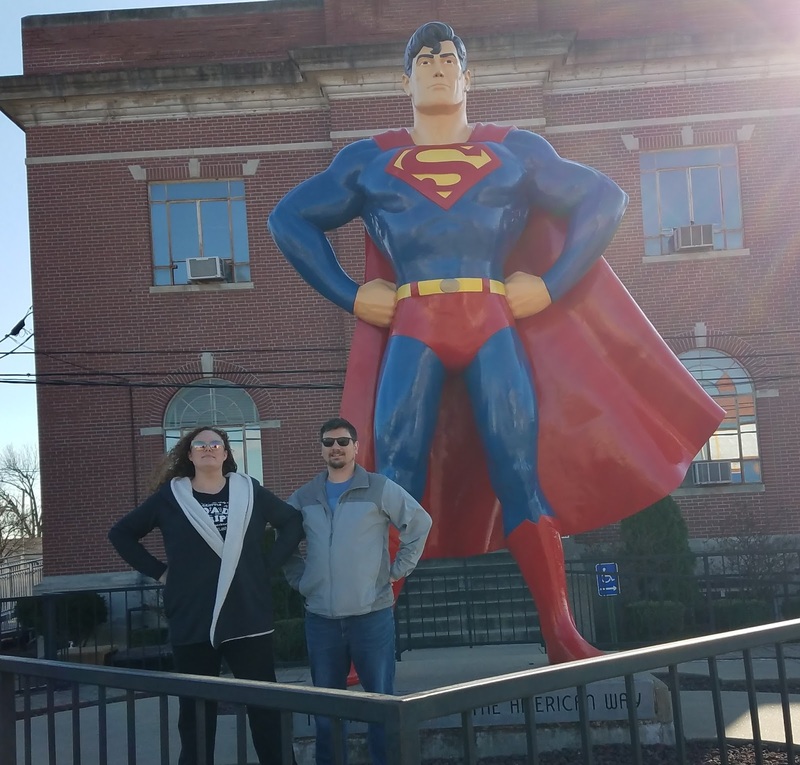 Here we visited Superman in Metropolis, IL.